Buying a home is always a challenge for many people given the money involved. But in 2018, interest rates have been rising and are likely to continue to do so. According to Zillow, today’s rate for a fixed rate, 30-year mortgage is approximately 4.45% with a 4.52% APR. Yes, the possibility of higher home loan rates in the future looms each time the Federal Reserve hikes rates. With mortgage rates trending higher, it makes sense to evaluate and review your timing getting a home loan this year. With interest rates going up, what are some home loan options and opportunities for home buyers? Below is more information. When interest rates are higher as they are today, some people consider moving from a fixed to an adjustable rate mortgage. An ARM has a lower fixed rate usually for a period of 3, 5, or 7 years. After that, the rate can adjust according to the prime rate or LIBOR rate. The rate on an ARM is usually ½ a point or so lower than a fixed rate mortgage. An ARM can be a smart move if you think that you will move before the mortgage resets. While it is possible that the rate could fall, it is equally likely that it could rise. Move before the rate changes, and this doesn’t matter. Or, if you are confident that you will be making more money in a few years, then getting an ARM could be fine. Because the payment is lower each month, you may be able to qualify for a larger home. If rates fall when the mortgage resets, you can enjoy a lower rate without refinancing and without closing costs. You can save and invest more of your money. If you have a payment that is $100 less per month, you can save it and put it into a high yield investment. Your rate and payments can go up a lot over the life of the loan. It is possible that a 4% ARM could have a 9% rate in several years if rates go up a great deal. The first adjustment on an ARM can be big because the annual cap may not apply to the first change. If your loan has a lifetime cap of 6%, you could see an increase from 4% to 10% a year after the loan closes. If you are already a homeowner and you have a first mortgage with a low rate (especially under 4% in 2018), you probably do not want to refinance that mortgage, even if you want to pull out equity from your home. Your interest rate could be much higher, so it may not be worth it. An option for a homeowner who wants to pull equity out of their home is to get a home equity line of credit (HELOC) or a home equity loan. These are second mortgages that allow you to pull equity out of your home to do with what you like. A HELOC has a low interest rate at first and has interest only payment during the initial draw period of five or 10 years. After that, the rate can rise, or fall based upon the prime rate. Your initial rate could be 4-5% in 2018 but it can rise in the future. After the draw period ends, you will need to pay principal as well. The HELOC is a line of credit that works like a credit card. You pay interest only on what you use. A home equity loan allows you to pull out your equity in one lump sum. It has a low fixed interest rate that does not change. This second mortgage may be a good idea for the homeowner who does not like risk and wants a fixed rate. 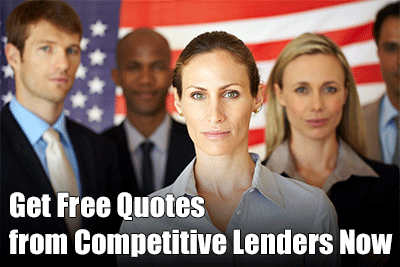 The rate on this loan is usually higher than a HELOC but it is fixed for the life of the loan. Search for the best home equity line rates. In 2018, home prices have been on the rise, with an average increase of 7% around the country since 2017. The economy has been getting stronger with lower unemployment rates, stronger economic growth and rising wages. Interest rates have been going up, and while this can make it more challenging to buy a home, it is a sign of a stronger housing market. People who already own their homes are finding their homes are worth more when they sell and when they pull cash out with a refinance or second mortgage. It is expected that interest rates will keep rising in the future, so experts think that home prices will continue to increase. This is good for homeowners. Even though interest rates are climbing, all is not lost. There are always pluses and minuses when interest rates go up. Both home owners and home buyers still have good financial opportunities even though rates are higher than they have been in years.